Planning ahead of the big move takes time but if you are organized everything will fit together perfectly, making this one of the easiest moves you have every made. 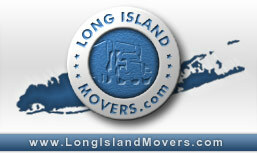 Long Island Movers has put together this moving checklist to help make your move a breeze. Put in a change of address order form for post office. Arrangements with moving company or reserve a rental truck. Set up travel arrangements, if necessary, with airlines, buses, car rental agencies and hotels. Transfer any memberships for churches, clubs and other organizations. Collect up medical and dental records, x-rays and prescription histories. Ask doctor and dentist for referrals and transfer prescriptions. Start a checking account in the place you are moving to. Make a list of your belongings before they're packed, in the event you need to file an insurance claim later. You could even take pictures or video tape your belongings. Record serial numbers of electronic equipment. Make plans for moving any family pets. Start using up foods so there is less left to pack and possibly spoil. Change utility services to new address. Inform electric, disposal, water, newspaper, magazine subscription, telephone and cable companies of your move. Have your help lined up for the moving day. Verify and confirm travel reservations. Get your appliances serviced and ready for moving. Clean clothing or throw rugs and have them wrapped for moving. Collect valuables from safe-deposit box. Make copies of any important documents before mailing or hand carry them to your new address. Defrost refrigerator or freezers you may own. Let refrigerator friends or relative your travel route and schedule so you may be reached if needed. The following supplies are handy for packing: Boxes, marking pen, bubble wrap, old newspapers. Strong boxes and containers that can be secured tightly. Purchase special boxes for dishes, wardrobe and other special items. Try to pack audio-video equipment in their original boxes. Label cables and tighten transit screws. If removing screws, tape them to the objects they are removed from. Never pack more than 50 pounds into one box. Label every box and indicate the following: 1. the room it will go to and is fragile? 3. Should it be loaded last or loaded first. Carry all valuables with you like cash and personal deeds, birth and shot records you. Often times the hassles of moving is hard on children and if you have a friend or relative near by it may be to your advantage to let them stay their on the day of the move. This way you don't have to worry where they are while you are trying to unload and reorganize and they will be more surprised when you bring them to their new home. Depending on the family perhaps as you are unpacking let dad go to the store and pick up the groceries while mom unpacks and readies the kitchen first. This will really help at the end of the move when you are just too tired to go out for dinner.